Slant Eye For The Round Eye: Magnetic North & Taiyo Na live at the Brooklyn Museum! Magnetic North & Taiyo Na live at the Brooklyn Museum! Clear your calendars and get on down! 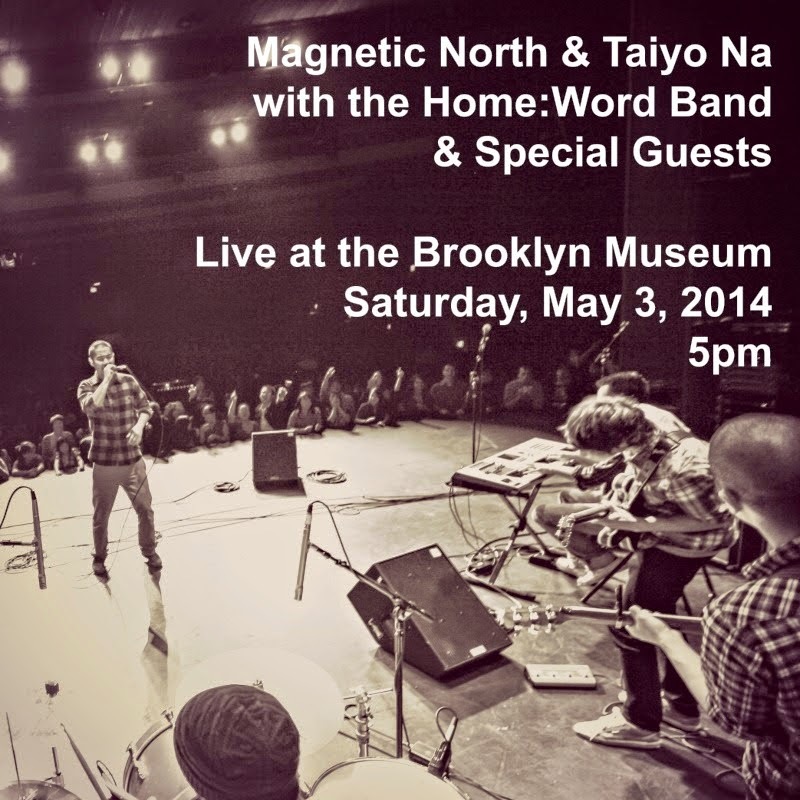 Magnetic North & Taiyo Na with the Home:Word Band & special guests live at the Brooklyn Museum on Saturday, May 3 at 5pm. Reunion time for these OGs in celebration of arts, activism & Ai Weiwei. You don't want to miss it!